TAKE A TRIP ON THE CALCUTTA CRICKET CLUB EXPRESS! — Thank you. TAKE A TRIP ON THE CALCUTTA CRICKET CLUB EXPRESS! Step back into time with us on December 31st, 2018 as we roll back the clock to the 1920s (the most fabulous era of rail travel). Guests will receive the royal treatment as we recreate a train car vibe in the restaurant, complete with a welcome cocktail, a decadent four-course feast, and a rolling bar cart of bubbles & feature cocktails. Late night amusements and midnight bubbles will also be included with the second seating. So gather your dapper friends and spend the last day of 2018 aboard the Calcutta Cricket Club Express. Fancy attire is welcomed and encouraged. Don’t miss out on this special one night experience. Book your seating today! The ticket prices include 18% gratuity and tax. A welcome cocktail is included with every ticket. Drink pairings will also be available for purchase during both seatings in the restaurant. As this is a special event, no refunds will be issued. Santa, lots of egg nog and all your Indian brunch favourites. 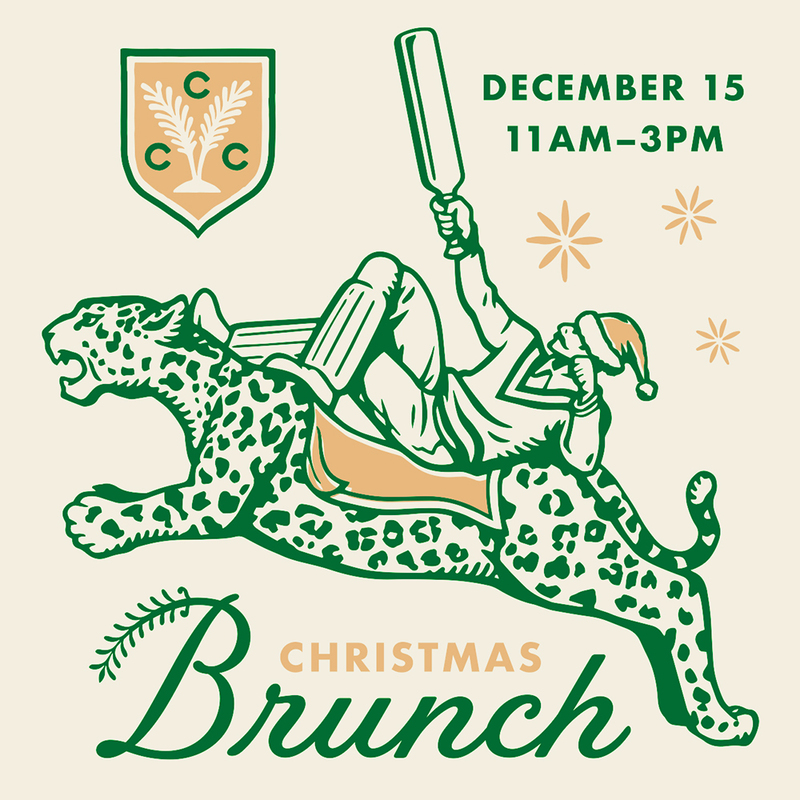 If you attended Christmas brunch at Calcutta Cricket Club last December you know you're in for a treat! If weekend eats, festive drinks and a visit with Saint Nick sound like a great time then join us December 15th from 11am to 3 pm. Make your reservations.